Help us win pollution standards that will protect this gentle creature. The manatee death toll across Florida is rising. In 2013, a record 829 endangered manatees have now died in the state’s algae-choked waterways. And more than 80 have already died this year. Yet the Environmental Protection Agency continues to side with agribusinesses, pushing for loopholes to allow even more pollution. 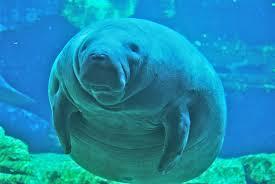 Earthjustice’s Florida office is fighting for pollution standards that will help save the gentle manatee. But we need your support to win this battle. Please, while there is time left, help us protect endangered manatees and hold dirty polluters accountable in court. For more than two decades, Earthjustice has fought for manatee protections in court—and won. In the last year, Florida’s waters have become so toxic in places like Brevard County that residents are told not to even touch the water. These are the very waters that manatees and other wildlife depend on to survive. Help us fight back to clean up these toxic waters, hold polluters accountable, and protect endangered manatees. P.S. A record number of dead manatees are washing up in Florida right now! Help us fight back in court with an emergency tax-deductible gift today, to protect manatees and other endangered species. PreviousWhen are the Ides of March, and why beware them?